SCHOOL CLOSED – TLC will be closed on Good Friday, April 19th, and on Monday, April 22nd , 2019, in honor of EASTER! Thursday, April 18th is regular lunch. Please send lunchboxes. GOLF SPONSORS NEEDED PLEASE! GOLF SPONSORS NEEDED PLEASE! SPONSORS NEEDED PLEASE! GOLF TOURNAMENT – Golfers & hole sponsors needed to help raise funds for our new building. Tournament will be held on Saturday, April 27th, shot gun start at 8AM, on the Spruce Creek Fly-In. Sign up in the front lobby please. All proceeds donated for the new building “I AM CENTER” it is all for the children please & thank you! PARENT NIGHT OUT - On Friday, April 12th , from 6-9 p.m., Dinner, snacks, and games are provided. $20 per/child. If interested, please see Miss. Melaney for sign-up sheet. Siblings & friends are invited to the parent night out. KARATE – Mr. Benson will begin a new session on Wednesday, April 3rd, and ends Wednesday, May 22nd. Sign up envelopes located in the front lobby. Class size is limited. Ages 4 & up only. GRADUATION TICKETS - Tickets are $5 dollars per/person and will be available Monday, April 8th, at 6:00 am, please see Ms. Jen. Graduation will be held at Rock Church (across the street) all graduation students will meet their teacher in the main hallway area. Everything is open seating so you can sit wherever you would like. CLASS LIST FOR JUNE & AUGUST – All of your children have been placed for the summer and school year. The list for all the children has been posted inside my office. Should you like to see where your child has been placed, feel free to peek. 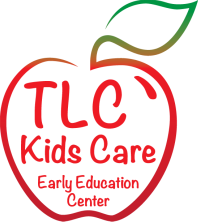 Our policy is to help transition all the children in the summer, so by August, they are acclimated in their learning environment. SCHOLASTIC BOOK FAIR – Thank you all for supporting our spring book fair.